Newly renovated and well-maintained double wide which features new carpeting in the living room, new laminate flooring throughout the home and bedrooms, new shower doors and bathroom fixtures and enclosed Carolina room with double-paned windows. Spacious living room with built-in display cabinetry along the wall. Kitchen features breakfast nook/service window and brand new microwave along with well-kept appliances. Each bedroom has it's own closet and home includes a large linen closet. Window treatments plus the washer and dryer convey with the sale. 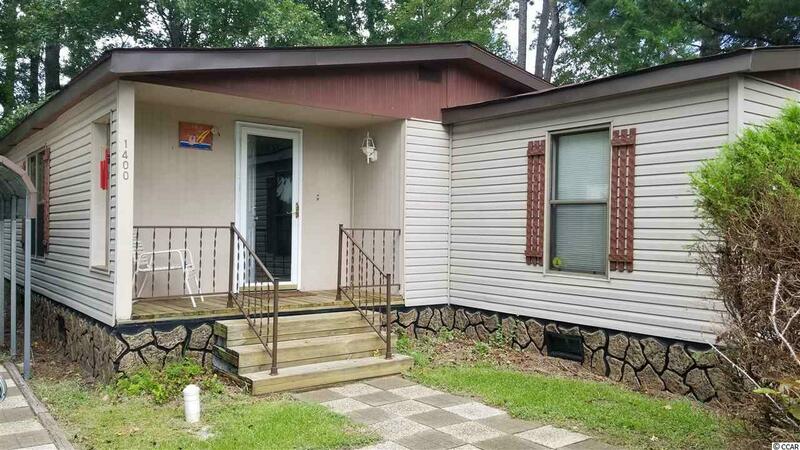 Mobile home is on a double lot, includes upgraded stone-look underskirting, has two large storage sheds at the rear of the lot and is close to all amenities and restaurants. Just a few minutes from Main Street and beach access on 8th Avenue North. Motivated seller - come see your new home by the beach!